Slim Fast. Intel's new developments haven't stopped for the 14.1 inch slim T-series. In addition some of the devices, such as the T410s we tested, have integrated a touchscreen and SSD. How well this business notebook by Lenovo completed our tests can be discovered here. The Lenovo ThinkPad T410s is a great laptop that is handicapped by a small battery. The inclusion of Nvidia Optimus hasn't done anything to change that, which isn't surprising - previous models with Intel integrated graphics were already known for having short battery life. Short battery life isn't the end of the world. Most laptop users are fine with just three hours of battery life. Naturally, few ThinkPads come at a discount, and the $1,985 price tag is likely too steep for most (try subbing that HD in lieu of the SSD to trim the cost a bit), but our sole operational complaint is one of battery life. That ultra-bright screen clearly exacts its toll on your power cell, with the T410s turning in just 83 minutes of DVD playback while operating at full brightness. It may not be able to make it through back-to-back episodes of Mad Men, but you'll certainly love it while it's running. The Lenovo ThinkPad T410s is one the lightest business-class laptop computers with a 14.1" LCD that we've ever seen. 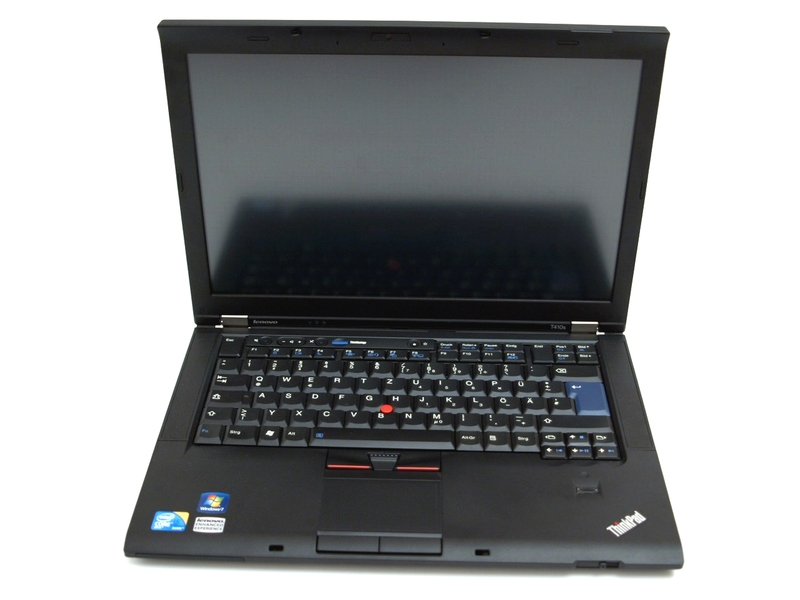 Most other lightweights in this category sacrifice performance and power, but the T410s doesn't in the least bit. You get an Intel Core i5 CPU, 4GB of RAM, and a plethora of wireless options. You won't find a lighter 14-inch business laptop than the Lenovo ThinkPad T410s. While adding a slight bump up in processor power and some minor system tweaks to a laptop might seem like baby steps on Lenovo's part, making the best thin-and-light business notebook on the market even better at any level is a feat. A faster processor and other tweaks make the ThinkPad T410s better than its predecessor—which was already the best business thin-and-light we’ve tested. Lenovo's ThinkPad range is known for providing arguably the best business laptops you can buy, thanks to almost unrivalled build quality and usability. While the ThinkPad T410s is not the most portable choice, its large screen makes it a good option for office use. Lenovo's ThinkPad T410s offers a nice alternative to the traditional T410 with a more compact frame that is small but still includes an internal DVD drive. Performance has improved with the Core i5 dual core processor but storage performance is a bit lower with the traditional hard drive. Durability and ergonomics are outstanding for the system that really set it apart from many other business laptops. It would be nice to see a slightly lower price tag or more memory though. 81.4%: This rating should be considered to be average. This is because the proportion of notebooks which have a higher rating is approximately equal to the proportion which have a lower rating.